The Collision Shop has been in business for over twenty five years. 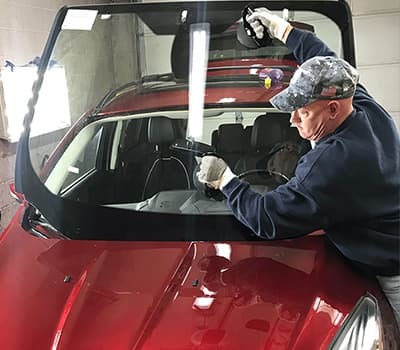 We have grown to the largest Auto Body & Paint repair facility in Michigan. With sixteen locations conveniently located throughout the metro Detroit area, any where that you work or live you are less than twenty minutes away from any one of our locations. We try to accommodate our customers the best way that we know how and we will provide pick up and drop off at your home or work if necessary. Each of our locations is equipped with state of the art equipment necessary to repair the new complex vehicles of today. Our customers have come to know and trust The Collision Shop for saving their insurance deductible or providing a free loaner vehicle. A program that we fist started in order to help our customers save time and money with their repairs. Coupled with our Lifetime Warranty, why would you have your vehicle repaired any where else? Contact any one of our sixteen convenient locations today and let us show you how easy it is to have your vehicle repaired at The Collision Shop. When we refinish the repaired, or replaced parts on your vehicle, we only use Factory Package Paints. We will put your vehicle back to pre-accident condition, structurally and cosmetically. We can repair or replace glass damaged in a car accident or, simply from road debris. We specialize in servicing Fleet Vehicles, of all makes and models. Contact us today to learn more. We detail each vehicle inside and out before we deliver it to the customer. Read our customers' testimonials. We are experts in Unitized Body & Frame Repairs. Contact us today to get your vehicle back on the road. When it was time for me to turn in my leased Cadillac, the dealership wanted to charge me over one thousand dollars for some minor damages to my car. The Collision Shop was able to do the same repairs for a little over six hundred dollars. I had no problem with the turn in. You did a great job and saved me over $400.00. When my Ford Taurus was hit, I did not know when I could get my car fixed. I am a student and needed my car every day. Your Free Loaner was a life saver. I received a brand new car to drive while my Taurus was being repaired, it was nicer than my car! someone ran into the back of my Chevy Traiblazer, I was shocked to learn that I would be responsible for my $500.00 deductible. Times are tough and if it was not for The Collision Shop paying my deductible, I would not have been able to have my Trailblazer repaired. You even cleaned the interior of my truck, it was a pleasant surprise. I want to thank you at The Collision Shop for doing such a great job again on our Chevy Cavalier. With two teenage drivers I appreciate the good service, quality and the savings we experience each time we have had our vehicles repaired. Please contact us today with any questions or concerns. Get started now and repair your vehicle to pre-accident condition. Click on the link below or call us at 800-219-3113. We have collision repair centers conveniently located in Metro Detroit. Click on the link below or call us at 800-219-3113. Copyright © 2018 Collision Franchise. All right reserved. Website Design by: CxT Group, Inc.